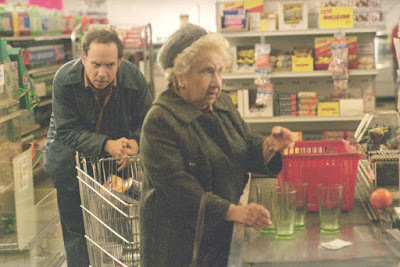 It’s said that some of the most observant people aren’t the famous teachers who teach at the liberal colleges around America, but from the everyday schlock who has to wait behind an old Jewish lady in the checkout line at the grocery store. 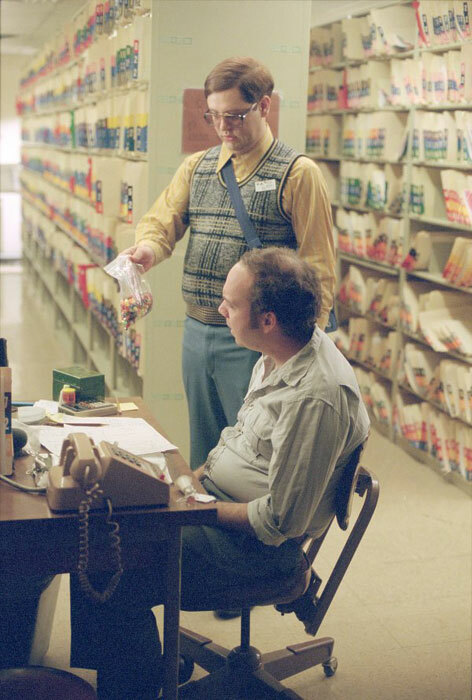 One such man was Harvey Pekar (played here by Academy Award-nominee Paul Giamatti), a file clerk in Cleveland, Ohio. Pekar was a hairy ugly man who always seemed to miss true happiness every year. Having been divorced twice when the movie begins, he notes that even during Halloween he didn’t see the point in dressing up as a ghost or superhero to get candy. He lives in a cluttered house where his prize possessions are his giant record collection. He even shares this passion with a friend of his named Robert Crumb (James Urbaniak). One thing that Crumb does though that interests Pekar is comics. Realizing that comics could be like movies and just about anything, he sits down, writes some stories, and illustrates them with crudely drawn stick figures. Crumb likes the comics and takes them to get illustrated. 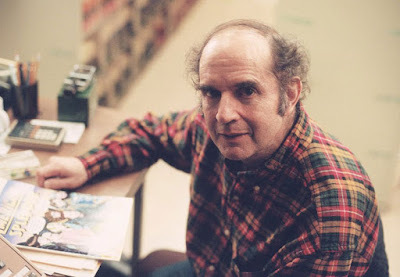 This would become the comic “American Splendor,” which was adapted into this very movie I’m reviewing. Now I’m not one of those people who had never seen this film and am just getting around to watching it now that the real Harvey Pekar is gone. On the contrary: I saw it in theaters seven years ago during it’s initial release. I remembered greatly enjoying it then and I have a greater appreciation for it now. It’s easy to say this movie is about comics...and that would be true to an extent. 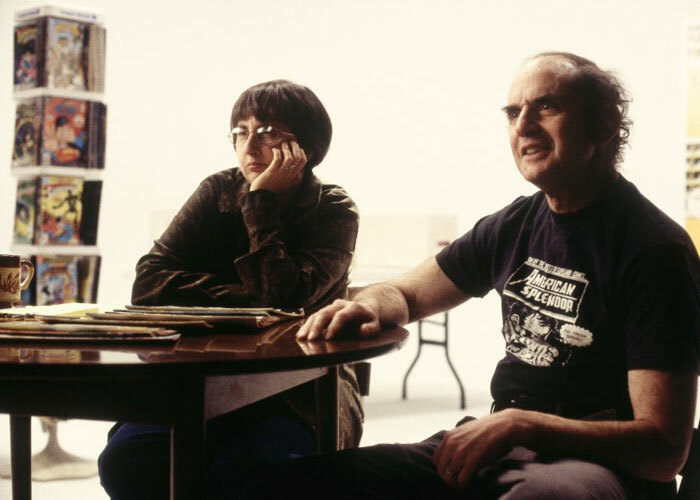 We have scenes where comics are drawn, discussion on how to properly pace a comic is discussed, and there are even scenes where Pekar imagines a comic version of himself forming a story which will eventually become a comic. The real Pekar narrates the story and even shows up in a couple brief scenes to discuss his apathetic view of the movie we ourselves are watching. It’s this aspect that makes the movie so much more about the man then about the work. Part of this reason is because while Pekar’s work was always critically acclaimed it was rarely a good seller. Pekar never was able to quit his job as a file clerk. He got to be a regular on David Letterman, but a on-the-air feud that provoked Pekar to make some un-flattered comments about GE brought that stint to an end. Besides, it never sold more comics so why did he care? No, the movie is just about an average guy. He worked a job he never really loved. He had unusual friends. He married his third wife Joyce Brabner (Hope Davis) who he seemed to really love and managed to get her love in return (but not enough to convince her to change her last name). He wound up with an adopted daughter. Without giving away too much the movies leaves Pekar pretty much in the same position he was in when the film started. It may be just as well seeing that a better life would have probably resulted in less inspiring stories for his comics. From what I understand the movie both annoyed and delighted the real life Pekar for it brought in some much needed income but also had the unfortunate side effect of putting him back in the spotlight. Now that he’s gone though the movie seems even more poetic then when I first saw it. It has an eerie charm that can’t be duplicated. In this film we walk with someone who is probably more like us then we want to realize. Yet the man we walk with has a unique perspective on life that he was able to channel into a medium that rewarded him on an emotional level if nothing else. 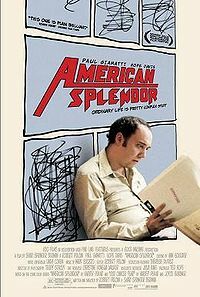 Containing the performance of Paul Giamatti’s life, “American Splendor” is worth watching even if the comics themselves you find less then interesting. Parents, there is some mild strong language. Recommended for ages 15 and up.